We over 90 Participants Representative made of, Human Rights Defenders, Activist and Various Civil Society leaders gathered at the Human Rights Institute of South Africa (HURISA) and State Of The Union Coalition (SOTU) event commemorating South Africa’s 20 years of freedom, human rights and democracy and the launch of the State of the Union Coalition Report on South Africa’s Compliance with the AU Instruments, including engaging the South African State officials and representatives from Chapter Nine Institutions to reflect on South Africa’s compliance with its AU commitments, on 20-21 May 2014, Constitutional Hill, Braamfontein. We pledge our solidarity support to the “Bring Back Our Girls” Campaign and implore the AU States to double strength efforts to protect African citizens against militias, terrorist attacks engulfing countries of the region and call for robust actions to find the over 270 Nigerian Young Girls and bring them back home in peace. We acknowledge the milestone achievements made by South Africa in the advancement of the African legal architecture and noted carefully the government’s commitment to build a culture of human rights, through ratification of the AU Instruments, including the fourteen (14) AU Instruments prioritised by the State of the Union Coalition. We are alarmed about the failure to implement the Africa Mining Vision (MVA) to protect the mining community against the flagrant violation of their labour rights by the multinationals and private sector. Commending the government for championing the Comprehensive Africa Agricultural and Development Programme (CAADP) which expires in 2015, however we express our disappointment with the slow pace to sign the Compact agreement in which a plan of action committing the government to eliminate hunger, reduce poverty and food insecurity affecting many people in South Africa. We further commend the South African Government for crafting ten (10) pieces of legislation to protect nature, and natural resources as stipulated under the Revised Africa Convention on Conservation of Nature and Natural Resources (RACCNNR) before this AU Instrument entered into force. We are concerned with the high level of Police brutality, resulting in the increased killings and injuries sustained by innocent people in South Africa especially, during service delivery protests, since the inception of freedom and democracy in 1993. Regulations of Gathering Act the instrument adopted to effect gatherings is not properly implemented and there’s a huge contradiction with the Constitutional provisions promoting and protecting the right to freedom of expression, association, assembly, demonstration, picketing and presentation of petitions. Africa Day is observed as the day that marks the founding of the Organisation of African Unity (OAU) on 25 May 1963. The Day was originally called Africa Freedom Day and it aroused out of the efforts of the African Leaders, political and human rights activists who attended the First Conference of Independent African States in Ghana on 15 April 1958. The African Union was established in South Africa in 2002 July 9 after the launching of the Constitutive Act. Human Rights Institute of South Africa (HURISA) recognises this significant day in which the efforts and human rights struggles of all Africans are remembered and honoured. 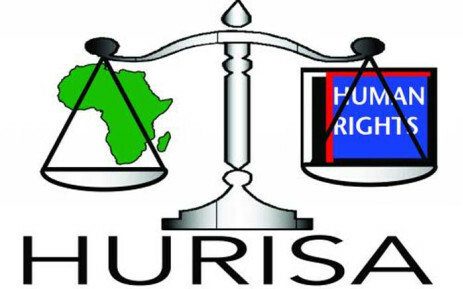 HURISA joins the people of Africa in the continued struggle for the attainment of human and people’s rights in all African countries. In celebration of this historical occasion HURISA recalls the re-joining of South Africa into the OAU/ AU on 23 May 1994. As this occasion marks 20 years on South Africa in the AU, we also observe the 10th Anniversary of the AU Peace and Security Council, which South Africa played fundamental role. HURISA partnered with and Southern Africa Trust (SAT) to commemorate this historical era of freedom, human rights and democracy to launch the State of the Union Coalition Report to give reflection on South Africa’s Compliance with the AU Instruments and engaged the South African State officials and representatives from Chapter Nine Institutions on South Africa’s compliance with its AU commitments, on 20-21 May 2014, Constitutional Hill, Braamfontein. Over 90 Participants attended made up of representatives of human rights defenders, activist and various civil society leaders, women, youth, children, governance, political, legal, faith based organisations. The participants pledged their solidarity support to the “Bring Back Our Girls” Campaign and advocated for robust actions to bring peace and security in Africa. HURISA, SAT and participants at the Con-hill meeting are calling South Africa as a key peace role player in Africa and Dr Nkosazana Dlamini- Zuma as the Chair of the African Union Commission to increase concerted efforts to foster a culture of unity in Africa in the search and return of the over 270 Nigerian Girls abducted by the Boko Haram militia. We remind South Africa including all AU Member Sates of the resolution of the African Commission on Human and People’s Rights at its 55th Session held on 28 April – 12 May 2014 in Luanda- Angola calling all African States to take the necessary measures to combat terrorism particularly by initiating joint actions aimed at preventing all activities relating to the financing, sale and transfer of weapons to terrorist groups. The Human Rights Institute of South Africa and the Southern Africa Trust, with support from the State of the Union (SOTU) Coalition invites members of the media to a one (1) and half day commemorative dialogue focusing on the forth-coming launch of the SOTU report (201`1/12) on South Africa’s compliance with the African Union instruments, to be held in Constitutional Hill, Braamfontein. The Africa week dialogue will mirror the 20 years of the South Africa’s participation during the then Organisation of African Unity (OAU now African Union (AU) since May 23 1994, launch of the State of the Union- SA report (2012/13), reflect on the African Charter on Democracy, Elections and Governance (2007) in the light of the recent South African General Elections of 2014 and convene an evening media critical debate and freedom of assembly/protest exhibition. The central objective of this commemorative dialogue is to engage in a critical analysis made by the South African Government since its homecoming to the African Continental diplomacy of the African Union and its compliance with the fourteen (14) African Union legal instruments with a specific focus on the African Charter on Democracy, Elections and Governance (2007). We anticipate the commemorative dialogue will identify challenges and recommendations relating to the African Charter on Democracy, Elections and Governance through robust and intense discussion. The anticipated speakers will emanate from Department of International Relations and Co-operation, Department of Justice and Constitutional Development, Independent Electoral Commission, African Peer Review Mechanism Secretariat, Law Society of South Africa, SADC Lawyers Association, Centre for Human Rights, Institute for Global dialogue, Electoral Institute of Sustainable Democracy in Africa , Southern Africa Liaison Office and various national civil society leaders. The evening media debate and exhibition of news photography from the Mail and Guardian will focus on freedom of assembly in South Africa. Images of historic (pre-1994) and contemporary (post-1994) protests will be juxtaposed to show how far the country has come in protecting free assembly, while also drawing attention to the concerning trend of violent clashes between citizens and police. Human rights activists and a political analyst will engage the participant’s.